The United Kingdom is now in the final stages of an election campaign in which two avowedly nationalist political parties – the Scottish National Party and the United Kingdom Independence Party – seem set to re-configure the map of British politics. They will attract numerous Christian votes, but nationalism and Christian principle are uneasy bedfellows. The Bible ends (Rev. 21) with a vision of a new multi-ethnic people of God in which all peoples bring their distinctive cultural treasures into the single community of the new Jerusalem. Christians are called to live now in the light of where they are headed. Patriotism – love of one’s country – is compatible with such a vision, but nationalism – the elevation of one’s own nation over all others – is not. Yet nationalism is arguably the illegitimate child of Christianity. There are examples in the modern world of Hindu nationalism or Buddhist nationalism (Islam generates, not nationalism, but ideas of a supra-national Islamic state), but they learned their trade from examples drawn from Western Christendom. The most influential prototype of nationalism, as the late Adrian Hastings powerfully argued in his The Construction of Nationhood (1997)1 was medieval and early modern England. The vocabulary of nationalism was borrowed from the term natio sometimes used in the Vulgate to translate the Greek ethnos (a group of people sharing common customs and often language), and then from the much wider usage of ‘nacion/nation’ in the early English Bibles from the Wycliffite translations of the late fourteenth century through to the uniquely influential King James version of 1611. England pioneered the idea of the sovereign nation state, modelled on the godly commonwealth of ancient Israel. The idea has proved extraordinarily fruitful, not least in motivating resistance to colonialism in the name of national freedom. Hence in African history, ‘African nationalism’ has become almost a synonym for anti-colonial resistance. Christian history is full of examples of nations that imagined themselves to be redeemer nations, supposedly called by God to discharge a distinctive commission of service or witness to the world. Most such examples are Protestant (e.g. Victorian Britain, the modern United States). There are also Catholic examples, such as Poland, where extreme devotion to the Virgin Mary as ‘the Queen of Poland’ combined with the sense of a people repeatedly dismembered by the vagaries of European history to generate resistance to the successive tyrannies of Nazi Germany and the Soviet bloc. So the track-record of nationalism is by no means an entirely negative one. But concepts of being uniquely called or privileged by God have led nations again and again to embark on imperial adventures or adopt racist policies (think of Afrikaner nationalism in South Africa). The sovereign nation state can be defended theologically as a less bad option than an empire (it is smaller, so its rulers are less prone to the follies of pride, and more democratically accountable). But it is high time that Christians woke up to the uncomfortable truth that nationalism is an illegitimate offspring of the Christian tradition. It will have no place in the coming kingdom of God, so why do they persist in giving it a place here and now? On further reflection, a definition of nationalism as the elevation of one’s own nation over all others, though it applies to many nationalisms, does not fit them all. A more inclusive and softer definition of nationalism might be: “nationalism is not simply love for one’s country but a strong commitment to its distinctive identity and values, combined with an insistence on its right to political sovereignty”. On that softer definition, a combination of Christian faith and nationalist allegiance appears less problematic, and we might conclude that nationalism should be termed an unruly child of Christianity rather than necessarily an illegitimate one. Nevertheless, I stand by the essential point of my post, which is to emphasize that Christian eschatology should render all national allegiances to a decidedly secondary place in Christian loyalties. Nationalism always teeters on the brink of absolutising the nation, and that is the problem. This entry was tagged Afrikaner, Buddhism, Christian Nation, Hinduism, Kingdom of God, Nationalism, Nationhood, Patriotism by Brian Stanley. Bookmark the permalink. Professor Stanley, I think that it is highly unfortunate, and indeed misleading, that you equate the SNP and UKIP in terms of nationalism. Indeed, I do not recognise the brand of nationalism that you describe in the SNP. One of my motivations for joining the SNP was that I was tired of the introspective and Anglo-centric politics of Westminster. The SNP has a long tradition of being outward looking and internationalist. I certainly don’t claim Scotland as the best nation on earth, but I certainly hear that in other quarters south of the border! On this basis, I see no contradiction between being a member of the SNP and a Christian. Hello, Martin! Thank you for your reply. The main purpose of my blog was to set some of the current British political debates in a much broader historical and geographical context. I am well aware that there are many Christians such as yourself who see no contradiction between their Christian convictions and their membership of the SNP. Nevertheless, the fact that the SNP styles itself as a nationalist party, and not simply as a party that seeks to represent the interests of the people of Scotland, should in my view make Christians (and others) think long and hard. There are examples in history of Christian nationalists who framed their nationalism in strongly ethical and internationalist terms, such as the Protestant nationalists who were so prominent in Korea in the early 20th century in resisting Japanese colonialism. In the long run, however, they had to choose whether their Christian internationalism trumped their Korean nationalism, or vice versa. Some of the most prominent, to their credit, chose the former, and paid the political price. Christians have aligned themselves with nationalist politics for very good reasons, as well as for some that are not so good, but sooner or later they all face the tension between the demands of nationalist allegiance and the claims of the gospel. Thanks again for joining the debate. Professor Stanley, thanks for the reply. I think that the problem here is that your equating of the SNP and other nationalisms is that they are not the same thing. The Scottish National Party is an internationalist and outward facing party that seeks to maximise the potential for Scotland in a global context. That is hardly the same thing as being xenophobic. An accurate comparison of the SNP with UKIP, BNP or indeed the Conservative party would reveal that these latter three could be said to have policies that have much greater tension with Christian faith. It is always a challenge to relate Christian faith and practice to the political system and there are certainly no perfect parties, but I feel that misrepresention of the SNP is a problem in your argument here! Without that introduction, it would have been a perfectly valid article! Thanks, Martin, for a very fair comment. I think the problem with my original post lay with too sweeping a definition of nationalism. Let me try another one: “nationalism is not simply love for one’s country but a strong commitment to its distinctive identity and values, combined with an insistence on its right to political sovereignty”. Is that position compatible with Christian faith? Obviously yes. Does it also run the risk of subverting the Christian emphasis on the one transnational people of God? I would submit that the answer is also yes. Some Christian nationalisms are much better at resisting that temptation than others. I entirely agree that the SNP is not a xenophobic party, and unreservedly apologise to all SNP supporters if that is the impression my post gave. But nationalism is a force that thrives on oppositionalism to other collectivities, and that will always remain the challenge that Christian nationalists have to negotiate. “The Bible ends (Rev. 21) with a vision of a new multi-ethnic people of God…” The SNP’s policy on asylum and immigration would do a darn sight more to achieve this than any other party except Green. Please don’t compare the SNP’s desire for self-government (their manifesto includes control over immigration for Scotland, and they’ve stated they want to bring in significantly more migrants than Labour or the Tories would allow, including restoration of the post-study work visa whose loss has cost Edinburgh University dearly) with UKIP’s xenophobia and downright racism. 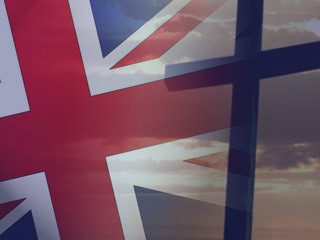 The Conservative party is basically a nationalist party: it exalts patriotism to a moral principle, a common tactic of all members of the establishment in the Christian West for centuries WWI being a prime example, where God was on the side of Austria according to the Catholic Chirch there, on the side of Britain according to the Church of England and the Church of Scotland, on the side of Russia according to the Orthodix Church there too). Just because the Conservatives happen to support the status quo does not stop them from being nationalists. What seems to me to be an implicit distinction between them and the SNP in the context of this issue is therefore deeply flawed. It is good to see this lively debate developing with response to Brian’s post. Clearly, the question of ‘nationalism’ and its various permutations is very important. Brian has hence added a brief postscript to address this point (as can be seen above). To be fair to Brian, his post in fact says very little about UK political parties (or how to vote). In fact, he underscores a very important observation about the complex relationship between religion and nationalism, broadly speaking, which is true of the UK as well as my native USA, and places like India, Sri Lanka, Korea, Taiwan, etc. Perhaps we can think more critically about that relationship, whatever our religious allegiances may be. While writing in the context of a British general election Brian is writing in quite general terms about “nationalism.” The SNP brand of nationalism is no an ethnic or race-based ideal – its for all people living in Scotland. That is what it makes it attractive to many people and for me, as a Christian who supports Scottish independence, I see no conflict in faith and my political commitment. I am proud to live in a country where a Scots-born Muslim government minister lit the candle at a Jewish festival. Thank you, Brian! Your perspective is refreshing, and in light of the response it has generated, it seems to come at a critical time in Britain’s history. I hope that this perspective gains a wider audience, and moves beyond British borders. The relationship between Christians and politics is always an uneasy one. As Brian said, “Christian eschatology should render all national allegiances to a decidedly secondary place in Christian loyalties.” And that’s the rub. Anytime we position something as primary, other things become secondary. This includes a long list of contemporary issues, including politics, sexuality, race, entertainment, comfort, and so on. In regards to political allegiance, it very easily has the potential to seize control of decisions and values. I simply cannot accept some of the comments that have claimed that the SNP is “outward looking and internationalist.” Political parties and governments as a whole are necessarily inward looking, prioritizing the in-group and marginalizing those on the outside. It cannot be otherwise, or the group-cohesion collapses. Martin Ritchie’s comment is highly indicative: The SNP is a “party that seeks to maximise the potential for Scotland in a global context.” Let’s put that in two other contexts. First, an easy one. The U.S. is (or perhaps was) arguably the world super-power for the last 50+ years. The Republican (or Democrat) party “seeks to maximise the potential for the U.S. in a global context.” Indeed, both parties have been quite good at it. When oil resources are threatened, they invade the sovereign nations that threaten to disrupt their way of life. When “regional instability” threatens the American way of life (whether or not the evidence is at all conclusive), they send troops to “bring peace” through bombs dropped by drones, killing many civilians. So far, it seems to have been effective. The U.S. has managed to uphold the (outrageous) living standards of its citizens, at the cost of many (non-American) lives and livelihoods. The potential for U.S. citizens has been maximized at whatever cost to the potential for the citizens of other nation-states. And all of this is baptised by politicians of both Republican and Democrat allegiances, calling on Christians to serve their nation. It is “one nation, under God” after all… And war is one example. We could go on to economic policies that enable abuse of people (some of whom are Christians) in poverty, environmental policies that destroy ecosystems in other parts of the world, and even mass consumption of technology that has massive environmental ramifications. And, as a “Christian nation” (a baffling phrase David Cameron, of the Conservative Party, also seems to favor), all these things are carried out in the name of God, particularly with respect to people in other nations when they view the actions of the U.S.
Second example. Australian Cardinal George Pell, in an article I read this morning, dreams of “a Chinese equivalent of Constantine, the first Christian Roman Emperor, with his Chinese government backing Christianity as the best bet to maintain and improve the moral health of Chinese culture.” Only in my worst nightmares would this become reality. An Asian Christendom? Really? The dismal track record of European Christendom should be enough evidence to dissuade us from this way of thinking. But surely, a Chinese Christian political party “that seeks to maximise the potential for China in a global context” would be a good thing, wouldn’t it? Christian or not, this already seems to be the case. Do I need to cite any recent articles about islands and other maritime disputes? Or how about actions on the African continent? Shall we baptise those actions in the name of Christ Jesus also? Such was the case with the legal and unjust trade of African men and women in a not-so-distant past by a not-so-remote empire. Does this mean Christians should retreat from politics like a Daoist hermit? Hardly! And it seems quite clear that Brian has not advocated such avoidance, and neither did he condemn a single or all political parties. Christians should engage. And political parties seem to be the trend of democratic governments. So get in there and get your hands dirty. And remember that by your engagement, your hands will get dirty. 1. When you choose a party, do you take into consideration the impact that party’s decisions and actions will have on Christian brothers and sisters in other nations? 2. When you choose a party, do you take into consideration the impact your choice will have on Christian mission? 3. What is (or ought to be) the relationship between Christians and earthly power?